There’s been quite a craze the past few decades of calorie-counting. Calorie counts are listed on just about everything now – cereal boxes, restaurant menus, even online databases devoted entirely to listing the number of calories in common foods. And then I came to my senses and realized that calorie counting doesn’t work for me, and I stopped counting calories altogether. Instead, I tried to just eat as healthy of a diet as possible. 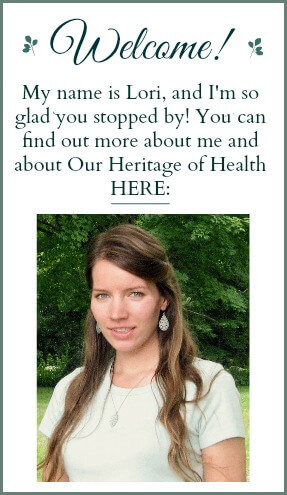 This was before I started my real-food journey, so my definition of “healthy” wasn’t quite the same as it would be now, but I started to get rid of some of the worst foods. Without even trying, I lost a pound or two. Rather than focusing on how many calories I was consuming, I started focusing on the amount of nutrients I was consuming. When I was counting calories, I was so focused on the quantity of what I was eating, that I never thought much about the quality. I consumed a lot of empty calories that weren’t doing anything to nourish my body. I ate lots of those “100 calorie snack packs” that seemed like a good choice because they were low in calories and low in fat, but, in reality, I was eating nothing but high fructose corn syrup and hydrogenated oils without any beneficial vitamins or minerals. Since calorie-counting is one of many diet myths, instead of focusing all my efforts on recording calories and choosing the lowest calorie options possible, I concentrated on eating as many nutrient-dense foods as I could. Foods like organic fruits and vegetables, of course, but also pastured eggs, grass-fed meat, butter and cheese, etc, – all the foods modern dieters run away from. These were the foods that nourished our ancestors. And they didn’t worry about calories either! In every 18th and 19th century cookbook and household manual I’ve ever come across, the words used to describe the ideal foods for feeding a family are words like wholesome and nourishing and healthful, not light or low-fat or low-cal. People living in earlier centuries didn’t worry about checking the number of calories in their “serving-sized” portions. They ate foods that they knew would nourish their bodies. I don’t ever count calories anymore. I don’t even bother to think about them. I put butter on just about everything, I cook with coconut oil, and I never use margarine or canola oil. I don’t use the “lite” or “fat-free” version of anything. Contrary to popular belief, though, I haven’t gained any weight since switching my eating habits. In fact, I weigh less now than I ever did back when I was religiously counting calories. Not worrying about calorie-counting allows me to just relax and focus on enjoying eating delicious, nourishing real food. Are you a calorie-counting convert? Want to Lose Some Weight Without Having to Diet? This post is linked to Sunday School at Butter Believer, Make A Move Monday at Simply Made Home, Scratch Cookin’ Tuesday at Granny’s Vital Vittles, Natural Living Link-Up at Jill’s Home Remedies, Fight Back Friday at Food Renegade. I really enjoyed this post Lori! If you watch your nutrients not your calories good things are bound to happen :-). Thanks for sharing it with us at Scratch Cookin’ Tuesday! Thank you for this post. I started counting calories last year to lose some weight, and I did (about 10 pounds in 6 months). Then I went on an elimination diet, didn’t count, and lost 5 pounds in a month, finally reaching my goal weight. I was able to maintain that for a few months. Now I’ve added almost all the foods back in and I’m trying to eat for nutrition, and eat intuitively so I don’t have to count calories. It has really been a struggle for me. I easily overeat and snack mindlessly on things that are clean, but probably not super nutrient dense. Posts like yours help keep me encouraged that I can do this. You realize it is harder & more time consuming counting nutrients? Also how do you know your not consuming too many calories from your “nutrients”? Eating too many calories from anything regardless if it’s “clean” or unhealthy will lead to weight gain. 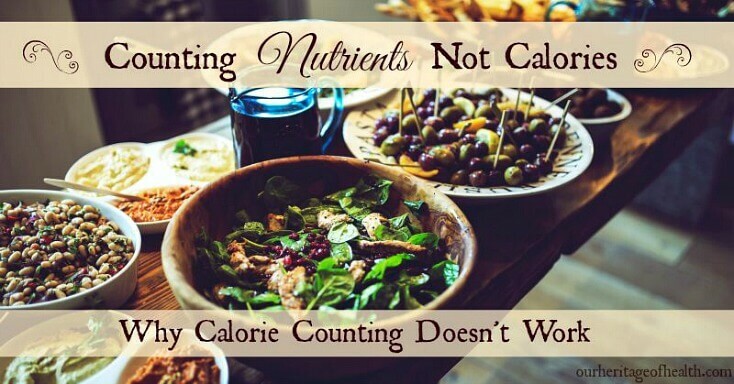 When I talk about counting nutrients, I don’t mean literally counting them the way you would count calories. I agree that that would be quite difficult and very time-consuming! I’m just referring to focusing more on the quality of what you eat than on the quantity. 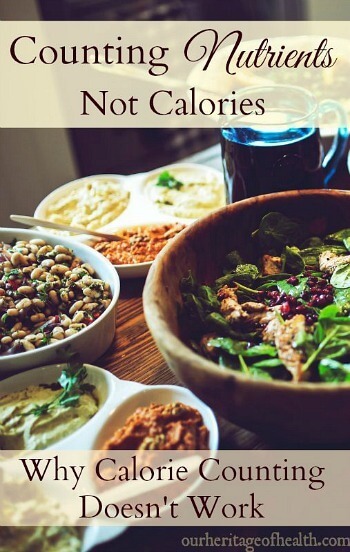 It’s possible to eat a very low-calorie diet that has hardly any nutritional value at all, so that’s what this post is talking about. It’s true that eating too much of any type of food, healthy or not, could lead to weight gain, but my goal in writing this was mainly to help people to focus on their own intuition and to choose foods that are rich in nutrients rather than focusing on restricting foods because of their calories.